Is not a secret that I don’t like hardcovers. But let me tell you why: Most of the time the covers (jackets?) are too fragile, and too hard to take care of. And If I decide I will carry the book naked, then, it's too plain, and it gets dirty so easily! That’s why I copied Tahereh Mafi’s idea, and I scribbled under those covers. 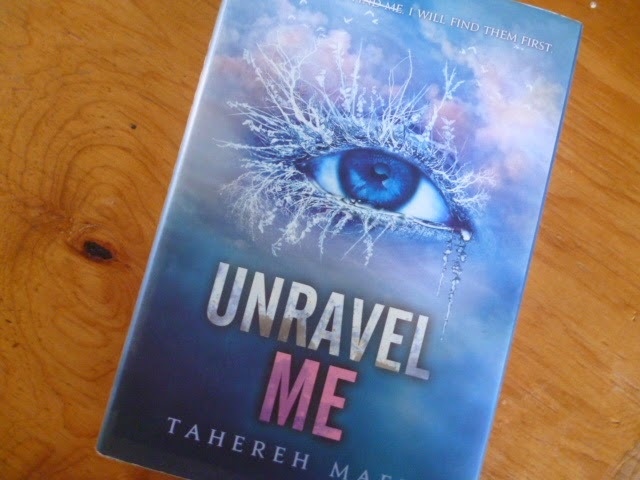 And since (like I said), this is an idea I saw on Tahereh's pages, the first book I took was Unravel me.